Detection of minimal residual disease. Cytoquest Corporation delivers high throughput flow cytometry services in a state of the art facility. Whether you're interested in Research, a clinical trials or a clinical service, we have the expertise to provide you with current protocols and thoroughly researched experimental/clinical designs. Comprehensive sample processing, data acquisition and data analysis services. FACSArray cytokine, chemokine and growth factor quantification. 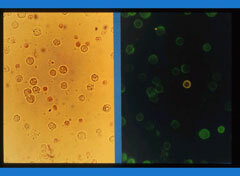 Advanced diagnostic flow cytometry services. We can design collection/delivery specimen kits to maintain the integrity of specimens. Validate all data for client approval. Immunophenotyping is the term that best describes the process used to identify and differentiate cells, using fluorescent antibodies that target specific antigens expressed by these cells. Thus it is of great utility for examining cells like mammalian blood cells, protozoan, or bacteria. 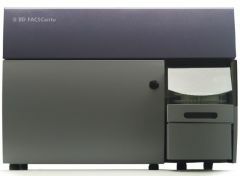 Size shape, granularity protein content, DNA content, intracellular pH and calcium concentration are the most common cellular parameters that can be measured by a flow cytometer. Over the last ten years the advent of many new antibodies, improved gating strategies, and the routine use of multiparameter techniques, have all dramatically improved the diagnostic utility of flow cytometry. Flow cytometry has become the cornerstone service for our organization. Because it is such a powerful tool for establishing a diagnosis and prognosis, identifying abnormal cell populations, and assessing the effectiveness of treatment regimens, it often precludes the need for other tests.